Image Of Schematic Intensive Care Unit Monitor Showing Normal.. Stock Photo, Picture And Royalty Free Image. Image 23987685. 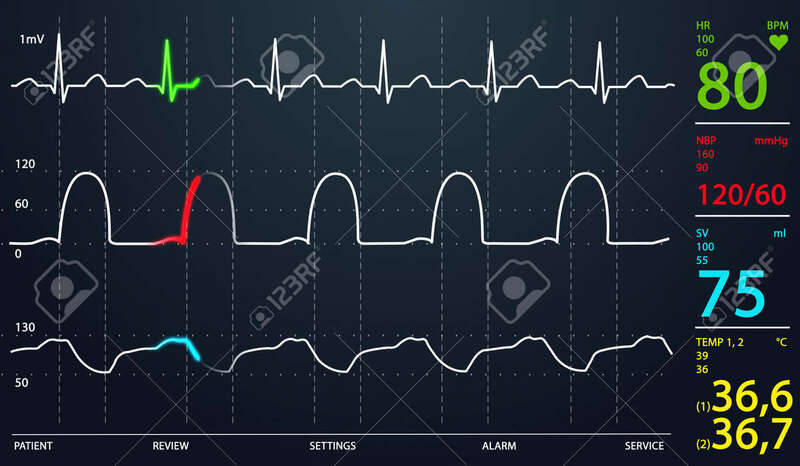 Stock Photo - Image of schematic Intensive Care Unit monitor showing normal values for vital signs, starting with cardiac frequency. Dark background. Image of schematic Intensive Care Unit monitor showing normal values for vital signs, starting with cardiac frequency. Dark background.